I wonder if Sony will make Suite available to PC/Windows. The virtual machine is already on there, clearly, with the simulator for development. Wouldn't be a big leap to package that up and open a store for PC. Certification hardly seems as big an issue here...I presume pretty much any modern PC would be able to play any of this stuff pretty handily. Sorry; finding Key Gnome Libraries on multiple Sony platforms that are also needed by the WebkitGTK port to the PS3 and Vita and reading that Mono can use those libraries to support applications leads to speculation that crosses from the PS3 webkit thread to the PS Suite-Mono thread and back. Even the Sony Google TV & Google TV Blu-ray player has those libraries. Of note is the GTK toolkit is missing. It's recommended that the GUI toolkit used by Mono be chosen to match the platform so there is a similar look and feel. The Mono for Android provides APIs to the native toolkit. Using Android's UI toolkit would make the PS Suite application platform specific as far as look and feel but Sony is saying the PS Suite applications are use-able on any PS Suite platform. Going back to the PS3 GTKwebkit port, Sony modified many of the GTK menus (Pop-ups, buttons, etc. (first reported by androvsky) and changed the theme name for the Chrome to POSIX. They did this by changing the Cairo routines that draw the Chrome. Is this a clue that PS Suite is to have a common POSIX drawing theme across all platforms? Is this tied to Sony providing their own Console I/O. Edit: Confirmed in PS Suite video 3.
androvsky, Patsu and I in our back and forth in the PS3 webkit thread speculated that the changes to the GTKwebkit Chrome and the POSIX theme name might indicate GTKwebkit would be used on multiple platforms (PS3 & Vita) and the GTK+ toolkit with POSIX changes to Buttons and Popup menus for PS Suite. theBishop keyed on me and to this day still thinks I am mistaken in this when the three of us agree that the Sony webkit DIFF file clearly has changes to the Chrome and the ChromeclientGTK name was changed to ChromeclientPOSIX and contains RendererthemePOSIX references. Gstreamer is required because Microsoft Codecs can't be used or rather require a Fee for use and Sony is, I would guess, already paying for codecs and if I understand correctly, this gives them an advantage as there is a one time per year fee of max $2 million for use of the codec or a minimum fee per device that uses the Codec. With a Gstreamer codec purchased from for instance Fluendo who purchases the rights from Mpeg LA, the cost is amortized across all Sony platforms. GTK+ toolkit is NOT part of the Key Gnome libraries found on Sony Networked platforms a custom POSIX theme version may be part of PS Suite to be included later. Now read the second half of message 208 below. This should be free to use in PC development. If not people will use it for porting more than development. Develop in xna and export into Suite when you have something done. Being able to release suite games on pc at no cost will help sony a lot. The Xperia Arc and Xperia Acro have been Playstation Certified. Being rolled out in updates in Japan, so I guess there is or will be updates for them elsewhere too. Thanks for the information. Getting back into publishing Software without a huge investment and the ease in doing this provided by the Eclipse IDE customized by Sony and the upper level software tools provided by Gnome is attractive. Going over the points in my mind as to what I could develop; games are out of my reach or ability but applications to support security cameras or other PnP devices shouldn't be too difficult. Could Sony provide a contact list of products and manufacturers that might need software developed for PlugnPlay Networked devices that would be attractive for PS Suite. Even at a dollar or two for PS Suite applications might make some big money given PS Suite's potential reach. If Alljoyn is part of PS Suite platforms then most of the work is done for these types of applications. If Sony helps with this I won't have to go to CES or trade shows outside the US with the extreme costs associated. I was gonna post this. I guess pssuite is moving forward and is not vaporware after all. Miguel De Icaza one of the Co-authors of the Gnome initiative and developer of Mono is now announcing PS Suite is powered by Mono. Sony is stating PS Suite for the PS3 is under evaluation but de Icaza above mentions the PS3 as a platform. His company is writing the JITmono VM for the PS3 so he should know. Now go back and read a previous post about Mono development on the PS3 and the Sony Phyre engine in 2009. Ask yourself why it's not done if they started this in 2009 and had JIT routines using the SPUs + showed a non-JIT version running on a PS3 (Linux OS assumed). One possible reason is because the PS3 OS was not finished. The 2009 PS3 Firmware 3.0 had the optimized frameworks using CairoGL, Gstreamer and Glib but Gstreamer, GTK, webkit, Glib and Cairo were not finished or at a development level needed for Sony's plans. A demo JITmono (development proof of Concept ) version could be created and that needed the confirmed by the 2009 Charles Ying hardware accelerated (Cell SPU-RSX) framework (CairoGL & Gstreamer) which was also needed for the Proof of Concept Video Unlimited Preview App ALSO created in 2009 and just released. 2009 shows up everywhere in these quotes!!!!!!! GTK3.2, Gstreamer 1.0 and a newer version of Glib is now or soon will be available, these newer versions have API changes. With those final versions in the PS3 and properly optimized using the PS3 Cell & RSX, a release JITmono VM can now be developed. Funny story... iOS would be the best smartphone platform for Suite (well, PS3 and PS Vita aside) given that the updated iOS App Store rules allow you to pack an interpreter or VM if you pack all the VM code/Interporeter in your app. Its direct execution too, no JNI overhead too. Still, I like the idea of PS Suite. Edit: PS Suite as a big multi-platform and multi-generation gaming SDK is one of the smartest things possible for SCE at this moment. The smartphone world badly needs a less chaotic platforms to make sure middleware and tools developers can thrive and help game and application developers do their job without unnecessary complexity. Until recent Xcode releases doing OpenGL on iOS would be no native GL debugging, how is that fun? Also, on some platforms like Android, having a higher level and powerful object oriented platform optimized for making games should really be helpful to developers. Not Xcode 4.2 levels yet, but wow... this is what I think Android was missing. This is so iOS inspired that's not even funny, but thanks Sony for working on it. Didnt really have time to listen to all of the presentation but I skimmed over most of the presentation slides, AWESOME. Hope the closed phase wont be too long and that we can try it out at the end of this year. I also hope that the visual studio support will be ready for public beta or at least the final version. I wonder how much they gonna charge and if the ps3 will really make it, as its apprently still under evaluation. 2) I know PS1 games are part of it, so will I be able to play my purchased PS1 games off the playstation store or would I have to buy the same game again? 3) Are trophies going to be supported/mandatory and tied to your existing psn account on the suite games? Cutting edge Social game for the PS3 that has a job requirement with C++, C# and SQL skills. Why would the job listing specify C# skills for a PS3 cutting edge Social game if PS Suite is under evaluation for the PS3? Sony has plans for JITMono on the PS3 but maybe no PS Suite? Cutting edge Social game = Home with Mono scripting instead of Lua? The article makes me think of the Sony Japanese chat demos with facial recognition providing animated characters talking. Tie that to Home and you have direct control of many aspects of the Home Avatar with your face and body movements. Think this is worth surfacing to its own thread (if it hasn't already been). Fixed that for you OP. And this is pretty awesome! I always like that time lapse video of a guy coding a game from scratch. Mono's Moonlight supports deep Zoom which is needed for Sony PlayView Media. Microsoft's Visual Studio is mentioned as another tool that might be used to develop PS Suite Applications and Sony purchased the rights to Playready DRM which is associated with Microsoft's Silverlight. Sony is already using Marlin DRM with a proprietary Gstreamer player probably purchased from Fluendo or Collabora. They have no need to switch to another DRM scheme unless it's to be more compatible with Silverlight-Moonlight. Since Microsoft's Silverlight and Mono's Clone Moonlight is already an established standard for Network applications (.NET) PS Suite may use Moonlight rather than reinventing a new standard that directly uses the underlying Gnome native language libraries used by Mono. Moonlight is a free and open source implementation of Microsoft's Silverlight for Linux and other Unix based operating systems, developed by the Mono Project. Like Silverlight, Moonlight is a web application framework that provides functionalities similar to those in Adobe Flash, integrating multimedia, graphics, animations and interactivity into a single runtime environment. If you watch the PS Suite videos many of the Moonlight features below are listed as PS Suite or possible future PS Suite features. Moonlight 4 Moonlight 4 Linux Preview plugin was available April 12, 2011 and release notes for Moonlight 4 are here. Something similar at a website http://memorabilia.hardrock.com/ to Playview (Cairo SVG (contains Pixman) and hyperlinking), at this site totally supported in a browser with Silverlight. So from functionality it appears that Cairo is being used to support Playview in the PS3. Again from Sony, the Playview library can be called and used by a game as well as webkit and webkit support libraries which includes Cairo. I find it interesting that the 2009 Sony patents have User support web pages with Flash Games mentioned. This is my understanding of what was happening from 2007 to the present. Microsoft created Silverlight to provide support for the WEB only provided at that time by Adobe Flash. Mono's Moonlight was an attempt to provide Open Source Silverlight (Flash) support for Linux by creating a version for Linux called Moonlight using Gnome GNU Linux libraries. Microsoft cooperated with this for it's own reasons. In the mean time the W3C created standards that would provide open source support for Flash functionality. Apple and others created webkit and in the Linux community the open source support libraries (Gnome) to support Webkit started to be developed. Early versions of Moonlight used software owned by Microsoft but with Microsoft's permission for non-commercial use and only on Linux (skipping a lot of history). Today Gnome (Cairo-pango, Glib, Gstreamer) have evolved allowing support for Flash functionality on their own when combined with webkit. Mono now using those new updated libraries (almost there) can support Moonlight without using any Microsoft code (except it appears for DRM). The Gnome Mobile initiative was a recognition of the cross platform uses beyond supporting webkit of the Gnome technologies and an effort in these technologies was made to insure efficiency and cross platform compatibility. PS Suite uses Mono and I think is going to use Moonlight to support applications and games. Flash supported Games and web applications. Moonlight does the same in a manor similar to Flash. Sony is putting their own twist on this with custom support for games. So Sony now has Cross Platform Game support similar to Cross Platform Adobe Flash games as mentioned in their 2009 patent but without having to pay for Adobe Flash and with more control. This is actually pretty exciting to see SCE's platform neutral system come into place. It's obviously their answer to Sony Music's Music Unlimited, and Sony Picture's Video Unlimited platforms to have a variety of things that can run on a variety of devices. Is that low level code or something else? Xcode 4.2 is the IDE in which you develop applications for iOS and MacOS X platforms. You write the code, you debug it, and you also have a way to design the application UI with graphical tools instead of laying it out in code (that is programmatically). PS Suite is coming to Visual Studio pretty soon, the worlds greatest IDE (tm). XCode 4+ is pretty awesome though, Apple's answer to VS.
What exactly is Android missing? There was nothing fancy in that video regarding the IDE, nothing we haven't already seen. Internal tools for game development sometimes are written on C#. I find fast to create Windows UI for tools on C# and tools can be completely independent of the game engine code itself. Dunno... perhaps an IDE customized for Android development (and not yet another Eclipse plugin), a dedicated UI builder tool which does not push you towards XML more often than not and is approachable by designers too (or else simply adopt HTML+CSS for layouts and call it a day ), the ability to properly and easily debug your native application without arcane magic (most games and heavy duty apps HAVE to be coded using the NDK and ndk-build does more harm then good... so compare debugging C/C++ code on iOS devices to unrooted Android devices for example), and tons and tons of polish (if we compare the iOS SDK and developers' support experience as a whole to the Android one). The handling of logcat in the ADT/DDMS view is another hint of what the problems are (it still does not do line wrapping for log entries, for example). Also, proper alignment of unaligned data accesses for CPU's which do not do in HW would be welcome too (developers curing the data alignment part of their data structures, native code wise, would get higher performance but the others would not get broken applications). Android is free and all... Android is on all devices and all... Android DOES have some nice perks to it, but it is still immature in a lot of areas compared to iOS. Developers' support wise too: a look at the main SDK web page, at their documentation, and their tools website gives the impression of hard working people who are understaffed and underfunded. I do prefer one environment over the other of course, but I have to work in both. I might be a bit of an edge case as I simply really like Objective-C so much . Second job listing for producer. "PS3 and/or social gaming would be an advantage". But on Sony platforms C#? Until the PS Suite announcement and the MONO announcement, was C# used for anything PS3? SQL database is required with large numbers of customize-able avatars and purchased items that have to be displayed. As with Second Life, scripts (how they interact) and Game engine (collada) files are associated with these. Sounds like a Home type Social networking game to me using Mono for scripting. Lots of speculation in this and an assumption that this is also targeted as a PS4 feature that will also work on the older PS3. But on Sony platforms C#? Sounds like a Home type Social networking game to me. The target platform only matters to the game engine. The tools only have to work in whatever the developers use. Using a Windows PC to develop a Playstation 3 game is normal and Sony provide tools to do so, you only need the PS3 to test the game not for example to edit the data that the game uses witch can be done on PC with a C# tool. I have seen C# tools for PS3, Wii and Android games for example. I stand corrected. IF you would, do me a favor and read the two job listings and give your opinion. The Tools Programmer one is a standard one, I see nothing different from any other Tool Programmer position on any other game (C# is mentioned in almost any Tool Programmer job requirement). The Producer one seems to indicate a "social" oriented game since they only mention "PS3 and/or social gaming". Nothing special that I can tell apart from that. This, I've seen the mentioning of using .NET/WPF/C# for Tool development (for games) quite a few times. It also the first thing that I thought of when I saw the job advert, I think there was a second similiar advert with addtional japanese knowledge and some other requirements. From the sound it was still very similiar. * Good understanding of XML, XSD, XPath, XSLT, DOM etc. Web technologies, SQL and C# are part of normal Game programming? Not trying to be difficult just trying to parse the job requirement. I've been reviewing the Sony site job listings, admittedly intermittently and only the last 6 months and I don't remember C# being mentioned before. It may be a normal part of Job requirements outside Sony. Searched for Sony and C# gives Network =>asp.NET<= jobs nothing else. Of course those are only the current open jobs on the internet that fit that criteria. SCEE World Wide Studios are looking for an dynamic accomplished web developer to work with the Senior Developer on Intranet/Extranet projects within the game development studios. The ideal candidate will be a great troubleshooter, be passionate about working for Sony and have a keen eye for design and detail. To support existing web form applications using NET Framework 2.x, SQL Server 2005, VS 2005. Design and implement SQL reports and modify existing reports. Reporting, including generating the dataset. Build and maintain cutting edge, state-of-the-art web applications that support Sony's network entertainment initiatives including the PlayStation Network. Develop application view tiers using server side scripting languages such as velocity. Develop web applications as an embedded resource in cross-functional scrum development teams. Assist in resolution of client display issues related localized messaging or web browser inconsistencies. 4+ years of experience in a web development position. Extensive knowledge front end web development including XHTML, CSS, XML, and XSLT with a focus on semantic markup. Server side scripting experience with any of the following languages Velocity, ASP.net, Freemarker, JSP, PHP, Cold Fusion. Knowledge of graphic design and image manipulation. Working knowledge of Adobe Photoshop. Server configuration, IIS, Java, Tomcat, Apache, Eclipse, Maven, ANT. Ability to prioritize and perform multiple projects at various stages of completion. Knowledge of the modern web browser inconsistencies with sufficient ability to recognize and correct browser display issues. A demonstrable portfolio of prior websites. HTML5 and CSS3 experience desired. Experience building and maintaining large scale web sites. Understanding of Content management systems, content types and email formats. Experience with localization, internationalization and ISO language and country code standards. Experience with internet media applications such as DRM based video, television and music content delivery systems. XML, XSLT, SQL, database schemas. Experience developing software using the scrum methodology. Tools Programmers work on internal tools. They have nothing to do with the game, and can be developed in pretty much any language. You can't infer anything from such a job posting. Gstreamer Talk Videos are up. Gstreamer 1.0 Keynote Not too technical and with a little thought explains WHY Sony has to wait for 1.0 before using this for PS Suite and for any embedded (Vita) platform. Video Unlimited and Music Unlimited on multiple platforms are going to be PS Suite/Mono probably Moonlight applications; they will use Gstreamer for AV. Gstreamer has had essentially the same API for 5 years and this is changing to a new API with Gstreamer 1.0. 1.0 works better with embedded platforms and simplifies coding as well as improves the performance on embedded platforms. JITMono will be written with Gstreamer 1.0 APIs and Sony will update all platforms to use the new Gstreamer 1.0 libraries. PS Suite AV applications can not be released until this happens. For the PS3, both API version of Gstreamer can coexist and a smooth transition made. For the PS3 and Webkit which uses Gstreamer as well as future applications it's probably a, why write the coming applications twice. If there is no profit in it why do it. Which means the JITMono VM can be developed to support Sony Media. Sony plans to revive its fortunes in the TV market by launching a new type of telly that it hopes will compete with - of all companies - Apple in the future goggle-box marketplace. So said CEO Sir Howard Stringer, speaking to the Wall Street Journal. Unfortunately, he didn't detail the new kind of television he has in mind. But he said: &#8220;I spent the last five years building a platform so I can compete against Steve Jobs. It&#8217;s finished, and it&#8217;s launching now. "There&#8217;s a tremendous amount of R&D going into a different kind of TV set." The recent Walter Isaacson biography of Steve Jobs quotes the former Apple chief saying earlier this year that he had finally figured out how Apple could do something new with the traditional television set. That led some observers to conclude Apple is working on a voice control system based on its Siri technology. Couple that with a recording capacity - "TV, record all the future episodes of The Simpsons" - would be a leap forward from fiddly remote controls and complicated DVR user interfaces. Apple has never shown any interest in helping punters watch and record broadcast programming. It would rather they bought shows from its iTunes store after transmission. Sony seems to have a similar notion. Stringer's "platform" ties the TV to the PlayStation, but makes the same PlayStation Network-sourced content available on other devices, from the recently released Tablet S to the upcoming PS Vita and Sony-branded smartphones. The only platform I know of that has been worked on for that long would be the one started at the end of 2007 and partially implemented in the PS3 in 2009 and in 2011 TVs and blu-ray players and is called PS Suite in one form. "It&#8217;s finished, and it&#8217;s launching now." The latest W3C and TV workshop is full of proposals using webkit and support libraries. Some of this is coming next year. WebKit support has been added, with most features working and experimental DOM support, in the Mono.WebKit namespace. Webkit support is done via the webkit-sharp and mono-webbrowser libraries. Webkit-sharp is a Webkit-Gtk binding, and mono-webbrowser is the wrapper that uses webkit-sharp and exposes Mono.WebBrowser interfaces. Unlike the gecko wrapper, which is included inside Mono.WebBrowser, the webkit wrapper is on a separate library because it depends on gtk-sharp, and so has to be built after the main class libraries. Speculation: the PS3 is getting a WebkitGTK browser, the Vita webkit browser is most likely a GTK version and Sony's Google TV contains a JSC webkit engine so for it to work with PS Suite a custom POSIX Theme GTK library has to be part of PS Suite to be added to Google TV. The Android (based on webkit) browser engine is being rewritten by Google to be more API compliant with webkit; speculation would be to support Mono Android and PS Suite. I just got an email about it being necessary to add an online ID to get into the program. I already have an online ID however. Did anyone else get a similar email? Google announced today that its three-year effort to create a muscular browser technology that can run heavy duty apps such as console-like games is now ready for prime time. Google has provided the platform to allow games to run in the Chrome browser and make use of the computers 3D graphics hardware. That makes it possible to run games with high-end console-like graphics in a web browser. A group of game developers, including Square Enix, Unity Technologies, and Bungie, appeared at Google Thursday night to promote the use of the in-browser Native Client technology, which could result in a rich, Chrome-based gaming platform. Native Client (abbreviated as NaCl for short, or the atomic name for table salt) was first launched for Chrome in August. An open-source project, Native Client allows native code bases to be run inside Chrome, Google's proprietary browser. Since the original Chrome port, Google has ported a full-screen API, mouse lock, and even OpenGL ES 2.0 3D graphics to the browser. Among the many possibilities this brings to Chrome is easier to render 2D and 3D graphics, meaning Chrome could become a rich gaming platform that works on computers of every kind. While Chrome will be able to store the code for the game inside the browser, users will still have to fork over money for the necessary hardware to run it. Since the technology is open source, Google and the developer community have already ported the Unity and Moai game engines, programming language environments Mono and Lua, audio middleware such as fmod and Wwise, as well as the Bullet physics engine, Google said. Square Enix&#8217;s Mini Ninjas, a popular 2009 action-adventure game, is coming to the Chrome Web Store, the publisher announced yesterday. It will be the first game to utilize the Native Client SDK beta that Google released at Google I/O in May of this year as an open-source technology for running native compiled code in the browser. Chief executive officer of Square Enix Holdings, Yoichi Wada, says Native Client &#8220;enables the same consumer experience in the browser as in a native application&#8221;. Google took 3 years to develop this 2008 to present. A version of Chrome able to play native language games is to be released later this month. Sony's Game patent published earlier this year indicated that they also were interested in WebGL games. If Google is only now able to do this then Sony should not be considered Late to the party. Just as with PS Suite, Open Source native language cross platform libraries are ported to all platforms - "already ported the Unity and Moai game engines, programming language environments Mono and Lua, audio middleware such as fmod and Wwise, as well as the Bullet physics engine" and are called/used inside the browser to support "Console quality" games. It's a combination of WebGL and native language support. Since the native language libraries are the same on every platform the game is cross platform. Mono requires Cairo and Glib as does webkit in the PS3 and PS Suite on Android platforms. Mono, used by both PS Suite and Google Chrome NaCl, is a Gnome technology and requires Cairo for rendering which requires Pango (layout engine for some international languages) which requires Glib; Lua can have Cairo bindings. Chrome's NaCl runs in a sandbox inside a browser and PS Suite requires everything run through Mono so Mono is PS Suite's sandbox. Mono can API call/use a webkit core (Chrome) and the Android browser core based on webkit had to be rewritten to comply with webkit API standards to be used with PS Suite and its possible in the near future we will hear that Android's browser is going to support Google Chrome NaCl games. A Linux or POSIX platform using a GTK webkit browser is already more than half way to supporting PS Suite and slightly less for Chrome's NaCl model as the support libraries chosen for webkit with WebGL support are the same as needed by PS suite and to a lesser extent Chrome's NaCl. The PS3 is getting a GTKwebkit WebGL browser. Pango text layout engine for international text, not used yet? Client 1.5 introduces a new Game engine (unknown possibly Phyre) and Physics engine (unknown rumored to be Havoc) The unknowns beg the question, what if Sony is using the same choices made by Google Chrome NaCL??? The PS3 has more free memory than is being used by Home and Hard Disk cache/virtual memory is being used in a manner like a handheld Vita or Android platform not like one with a hard disk. This leads to speculation that Sony has plans for "Home" on other platforms. GTK toolkit modified so much as to be custom Sony POSIX theme? A couple of people have commented that Mono is not a Gnome technology even though Wiki lists it so. One went so far as to define, probably accurately, that Gnome Technology programs use Glib but stated that Mono did not require Glib. This is not true. There is a recent post on Mono API changes. There is a line in it; "Drop all uses of glib on public API. This will make the transition to eglib possible." that confirms Mono requires Glib but a move to a eGlib for embedded which is Glib stripped of all functionality not needed for Mono. Browser or parts of the browser are from Access Netfront but at the same time they say they license WebKit. 8. libpixman library of Pixel manipulation routines now part of Cairo????? 3. OpenCV (Open Source Computer Vision) is a library of programming functions for real time computer vision. Open source list for the Vita might be misleading. There is no Mono or GTK+ UI toolkit or modified GTK toolkit listed, both should be part of PS Suite. Cairo is listed for only the browser port but is needed for Mono/PS Suite and GTK toolkit or modified GUI. Cairo is not listed for the Vita OS but Pixman is listed outside of Cairo, Cairo and Pixman are normally together to reduce the size of the combined libary; Cairo = (Cairo SVG + Pixman + GlitZ). In this case the Vita OS may not use Cairo, instead uses Pixman which would mean the Vita OS UI does not use the GTK toolkit or GTK modified. MPEGLA (Mpeg4) codec is listed but no core or player that could use them. GTKWebkit for the PS3 lists gstreamer, SNAP listed it, Gstreamer is in Sony Networked TVs, Google TV and blu-ray players and PDFs from Netfront ACCESS is using Gstreamer with browsers (like Firefox and Opera). The webkit2 GTK API is not finished, it's only partially implemented which might explain the Vita browser lack of features. CXXI: Bridging the C++ and C# worlds. The Mono runtime engine has many language interoperability features but has never had a strong story to interop with C++. Thanks to the work of Alex Corrado, Andreia Gaita and Zoltan Varga, this is about to change. Expose instances of C++ classes or mixed C++/C# classes to both C# code and C++ as if they were native code. CXXI is the result of two summers of work from Google's Summer of Code towards improving the interoperability of Mono with the C++ language. Sorry to interrupt you Jeff_rigby, but do you or anyone else know whether Sony has actually released the closed beta yet? I signed up for it in November and I haven't seen anyone get a response yet. From casual conversations, it sounds like some British developers have their hands on it. They seem very confident of having things ready for the Spring launch. Ah ok, I was just wondering if there would be a os x variant of the compiler they're using. I think it would be in Sony's best interests to keep the price of the SDK very low (like between ($99-199) low. Just enough to entice anyone. I really would hope so, otherwise their efforts would be kind of useless. "We're getting ready for some very interesting news next week...what do you think it could be?" Normally we'd pass this off as "just another Android announcement" and it could very well be. However and perhaps it is just coincidence but we seem to have caught a theme of tiles throughout the above picture which was posted in conjunction with the aforementioned statement. The folks at Redmond picked up both Microsoft-Sony.com and Sony-Microsoft.com, which has spurred speculation that everything from a Sony-Ericsson WP7 handset to a PlayBox 720 is on its way. Confirmed in 5 days? 6 months from the Domain name registration till shown at CES...about right time for development after agreement? Reciprocal agreement with PS Suite showing up in WP7 phones? Look at the reflection on the tabletop, the red on left and right are framing what is important to the photographer and the red reflection on the Left is not possible from objects in the picture so it was added to balance and frame the important objects all of them in that area and all have the Metro squares. The center guy's glass also has the metro squares. And of course the phone in the girls hand is in the "focus" also. Edit: the girl holding the phone also appears as the most sophisticated of the four. Maybe you're right Jeff Rigby, you're bound to be at some point. SE did post that picture on their Facebook wall with the description that next week would see some interesting announcements. I don't know enough about phone OS to say what that looks like. I think we have to step back to Sony statements that they plan to dominate the CMOS picture sensor market. Your pictures tied to that information would have Sony phones with high end CMOS Exmar-R sensors allowing unheard of video and picture ability in a phone. 16 Megapixel is rumored in one of the high end Sony phones. So a Phone will now do double duty and be your Camera also. Consumers can justify a higher cost for a phone. 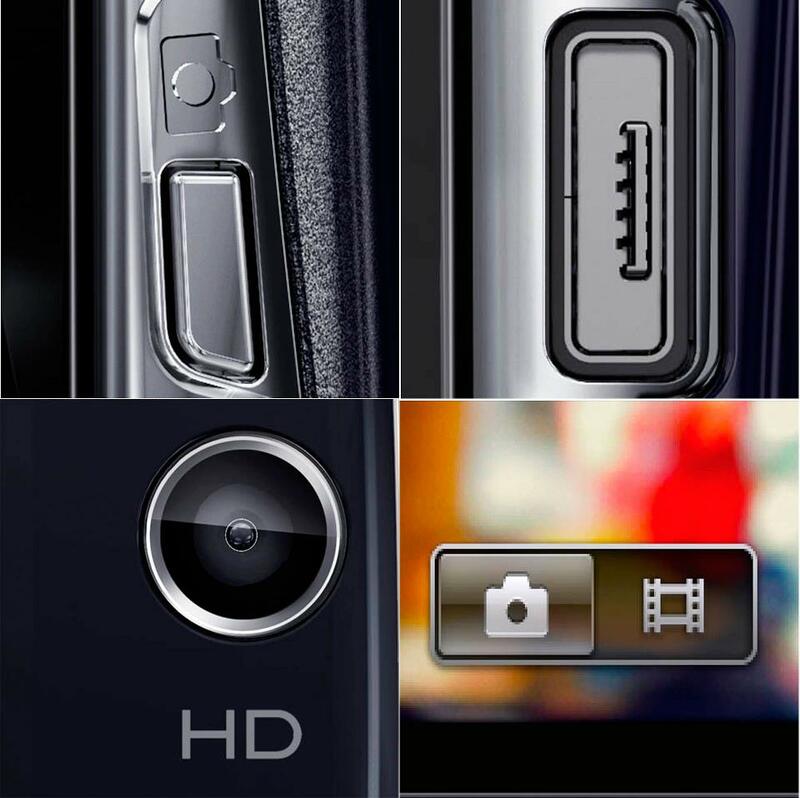 Would it benefit Sony to have both Android and WP7 operating systems featured in their Phones with advanced high definition CMOS sensors? "Maybe you're right Jeff Rigby, you're bound to be at some point." Really....average is much higher than 50%. In this case I'm not the author of the speculation, I'm just finding more clues that support the author. It's funny, both the girls could be from 1982 or so. The glasses guy fits right in, too. Whatever happened to the thread title PS Suite news? So no-one sees that PS Suite which is using Mono also supports Microsoft Silverlight .NET and WP7 is based on and WP7 applications can contain Silverlight code....Rumors of Sony using WP7 in their phones should be exciting. (I've read that Microsoft is not recommending the use of some of the Silverlight code but it's part of the includes that can be compiled into WP7 applications). A move to operating systems like ES sponsored by Google in 2008 which is based on a script engine with resources provided by webkit and with a C++ kernel (might be Vita model) is similar to what WP7 is doing, Adobe did with Air and Flash, Mono .NET in PS Suite and Android. In ES operating system every system API is defined in Web IDL, a new interface definition language used for defining APIs for Web Apps including HTML5, Web GL, and so forth. New APIs defined in Web IDL can be dynamically added to the system by loading the corresponding new software components running at the user level. With a better security model in the operating system, we should be able to bring better extensibility to the computers and devices connected to the Internet. For example, a web browser could be implemented as a seamless composition of various software components from various companies, communities, and organizations. As the Web is becoming the new platform replacing the traditional operating systems, we believe we will need an extensible operating system like we're studying with ES operating system. A unique part in ES operating system is we are using Web IDL to generate interfaces for C++ not only for ECMAScript and Java, and the software components written in C++ can be seamlessly controlled from ECMAScript. Am I off base here? Look at a previous post about CXXI: Bridging the C++ and C# worlds. that Miguel de Icaza was excited about. That was based on 2 Google Summer of code projects. And my impression is that Android suffers from Google insisting that all parts of Android be Open Source with BSD type license which in some cases limits the native language support libraries to older less powerful tools. I thought most of the rumors were pointing to PS Suite being a replacement for Minis program and releases on Vita? I have no idea what the strategy behind it is but there is one big question: what is the marketplace for the games going to be. It's not just simple to throw games into PSN, they seem to even have a hard time listing PlayStation 2 games in a consistent manner. Is it going to be peer review like Xbox Indie Games, essentially an open market? Paid review like iOS and WP7? Or closed like Minis/XBLA/PSN? I'm kind of surprised people aren't speculating about these things, the technology side doesn't mean much of anything if there isn't a solid opportuntiy for entrepeneurs to make money. If they want to have a mobile ecosystem it's a big deal, if they just want some indie games on PlayStation platforms it's still a great thing for gamers but I'm not really sure what the direction/intent of this SDK is until those questions are made clear to the public. Browser and HTML5 tech is very interesting tech but it is not just limited to PS Suite, that could influence TVs, wristwatches, whatever in the not too distance future so it's a much broader platform and how people embrace and employ standardized web tech will be interesting to see. On the one hand it seems like standards will make internet more open, but with things like SOPA, YouTube throwing up ads on nearly every video on its previously open video sharing network, basically "they" (the business world) will figure out a way to monetize the s*** out of HTML5 (and even more than the current web is being monetized). So Playstation Suite Will also work with Windows Smartphones in addition to android phones? That's a good thing for Sony. CXXI: Bridging the C++ and C# worlds. that Miguel de Icaza was excited about. How would this apply to PSSuite? It's VM only, the whole point is they are defining it as a platform agnostic thing.